Bead Mountain and it's neighboring public lands at Buffalo Creek WMA, Wildcat Hills State Recreation Area, and the Murphy Ranch Nature Conservancy have become one of the most favorite hiking areas in the state. 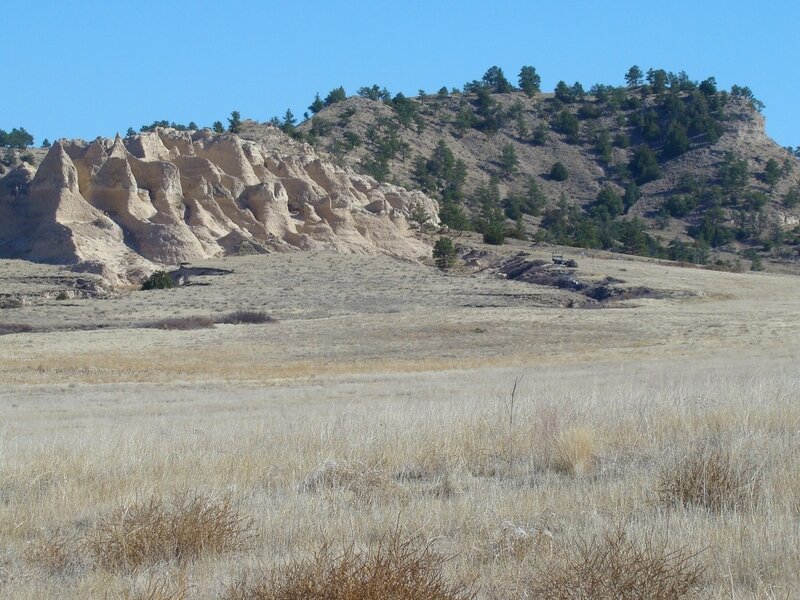 The four areas combine to offer hikers over 10,000 acres of opportunities. Access to Bead Mountain is easy. 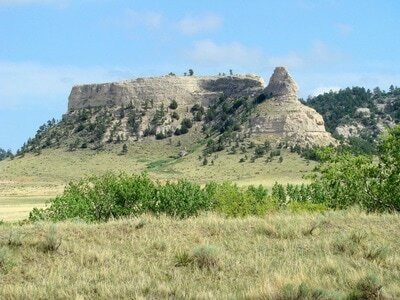 Simply go south of Gering on Highway 71 to County Road W, turn east and go 3 miles to where the road makes a sharp bend. There you will find a public parking area and access to Bead Mountain, plus many miles of canyons to explore. 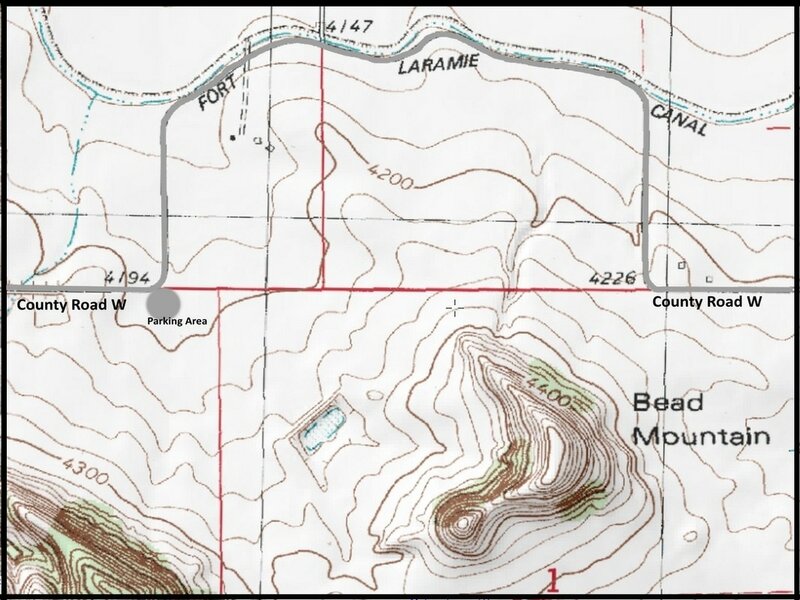 Outside of game trails, there are no trails in the area, so hikers will need to bushwhack their own routes up Bead Mountain. Scrambling to the summit is not difficult, with outstanding views of the area as a big reward for your efforts. 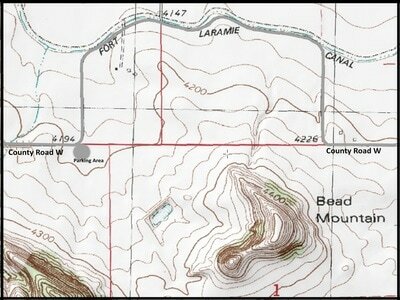 A good topo map of the area will help identify peaks, buttes, and mountains seen in the distance.